After Modern Family tackled an unexpected death in its 10th season, the long-running sitcom is about to tackle an unexpected pregnancy. At the end of this week's episode, Haley Dunphy and boyfriend Dylan received the surprise of a lifetime when an emergency room nurse told Haley that she's pregnant. While fans weren't exactly flabbergasted by the idea, thanks to subtle hints from previous episodes, they did have a strong reaction to the news. Continue ahead to read about Haley's pregnancy, as well as other iconic TV pregnancies throughout the years. 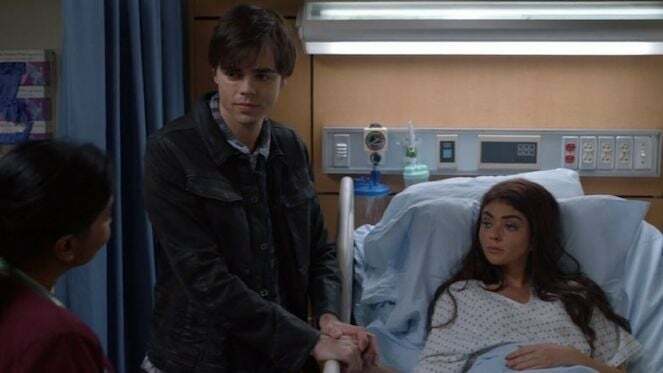 Haley Dunphy's (Sarah Hyland) pregnancy news came just as she and Dylan (Reid Ewing) realized it was time for them to grow up a little bit. While at a carnival they had (briefly) debated ditching for a more mature date at the theater, Haley got a lipstick stuck up her nose while driving a bumper car. The two headed to the emergency room to have it removed, where they were shocked to find out she was expecting. Although fans had picked up on the pregnancy clues dropped in previous episodes, some were wishing that Dylan weren't the father. Although the show hasn't confirmed the father, fans were led to believe as much given that he and Haley just recently reunited after she ended her relationship with Arvin. Friends inserted a pregnancy in true sitcom fashion, letting viewers guess during the entirety of Monica and Chandler's wedding which character was expecting. When the show finally revealed that Rachel (Jennifer Aniston) was the mother-to-be, it waited even longer to reveal that the father was Ross (David Schwimmer), Rachel's longtime ex-boyfriend, whose reunion fans had been anxiously rooting for. 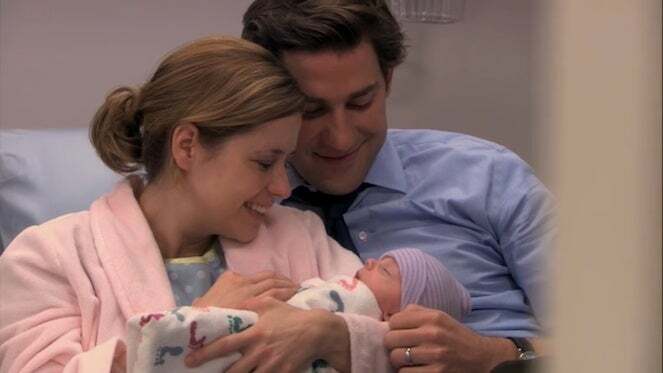 In season 8, the two finally welcomed their baby girl, who they named Emma. Diehard fans will remember the rest, including when Ross ran in vain to catch Rachel on her plane to Paris in order to confess his love for her, only for her to have returned home and heard his frantic voice messages. It made for a truly iconic TV moment when Ross burst into her apartment just after she heard the messages. Alias fans were blown away when Jennifer Garner's character, Sydney Bristow, learned she was pregnant. What was even more shocking was that she believed that her daughter's father, Michael Vaughn (Michael Vartan), was dead for most of her pregnancy — until it was revealed he had faked his death, in true spy fashion. Garner was actually pregnant at the same time, with her and then-husband Ben Affleck's first daughter, Violet Affleck. The two went on to have another daughter and a son before ultimately separating in June 2015, with the divorce finalizing in October 2018. Not only were Charmed fans excited for Piper's (Holly Marie Combs) supernatural pregnancy, but the elation grew after it was revealed that baby Wyatt had super powers. Not only was he all powerful (and sometimes all knowing), but he was also able to be safely rescued every time he was kidnapped — which happened to be a few times per season. Combs was also pregnant with her first son in real life, so producers decided to write it into the show rather than try, most likely unsuccessfully, to hide it. As a long-running medical procedural, Grey's Anatomy has surely seen its fair share of pregnancies. 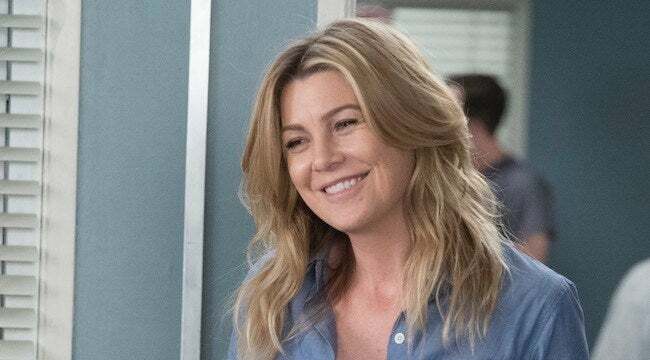 But perhaps the most important to the drama's fanbase is Meredith's (Ellen Pompeo) first pregnancy, when she and Derek (Patrick Dempsey) get pregnant just after they make the decision to adopt upon the news that it would be extremely difficult to conceive a child naturally. Many fans shed a tear when Meredith encouraged Derek to look at a shirt she had bought for their adoptive daughter, Zola, which read, "World's best big sister." Who could forget The Office episode when newly-engaged Pam (Jenna Fischer) and Jim (John Krasinski) discovered that they were pregnant? The two heard the news together when Jim took Pam to the emergency room after she hurt her ankle playing volleyball at the Dunder Mifflin company picnic. Fans will forever swoon over the tears in his eyes when he calls Dwight to let him know the Scranton branch's star player won't be back in time to finish the crucial game against corporate. Later in the series, Pam gets pregnant again when Jenna Fischer was expecting a real-life baby with husband Lee Kirk. Murphy Brown was one of the first '90s sitcoms to write a pregnancy into a show not because the actress was expecting. The pregnancy was special because it depicted what a real-life pregnancy might look like for a 40-something businesswoman like Murphy Brown (Candice Bergen) trying to get back into her career — especially when she decided to raise the baby on her own. After Nashville fans learned of Juliette Barnes' (Hayden Panettiere) shocking pregnancy on the heels of her devastating breakup with Avery (Jonathan Jackson), they first thought the father was Jeff Fordham (Oliver Hudson). But when the bundle of joy turned out to be Avery's, it gave fans permission to hope for the estranged couple to get back together — which they did, of course, with a stunning surprise wedding. Fans who followed Panettiere in real life may not have been shocked at the character development, given that she had recently announced her and fiancé Wladimir Klitschko's first child together shortly before the episode aired.